Every Child gets a Drum and an Invitation to Join in! 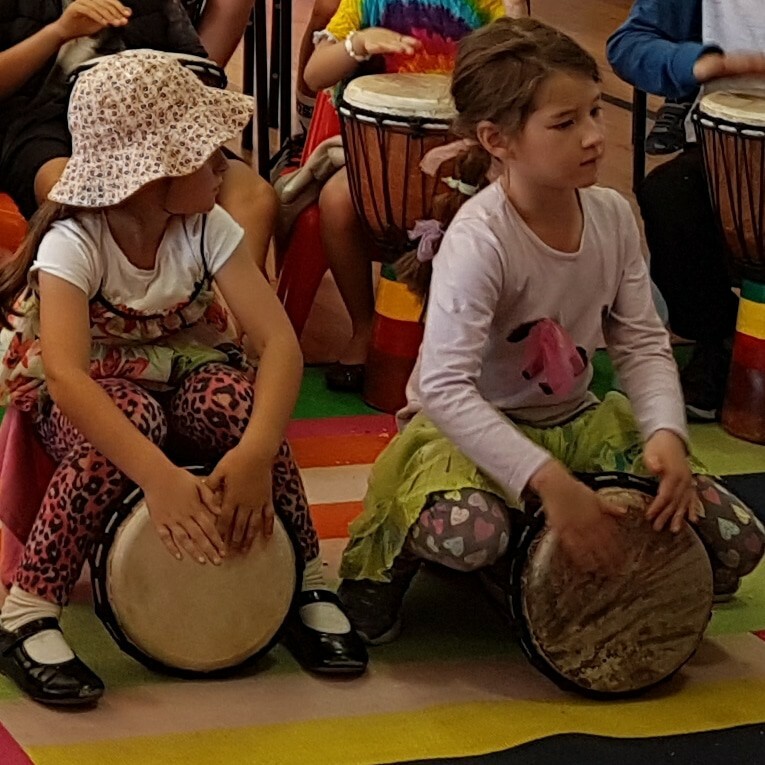 Anyone can beat the Drum - But with the help of Afrobeat, your children will learn how to MAKE MUSIC! Within minutes! Afrobeat will have your children transformed from a cacophony of noise into a lively orchestra resembling a percussive locomotive filled with power, enthusiasm and joy. 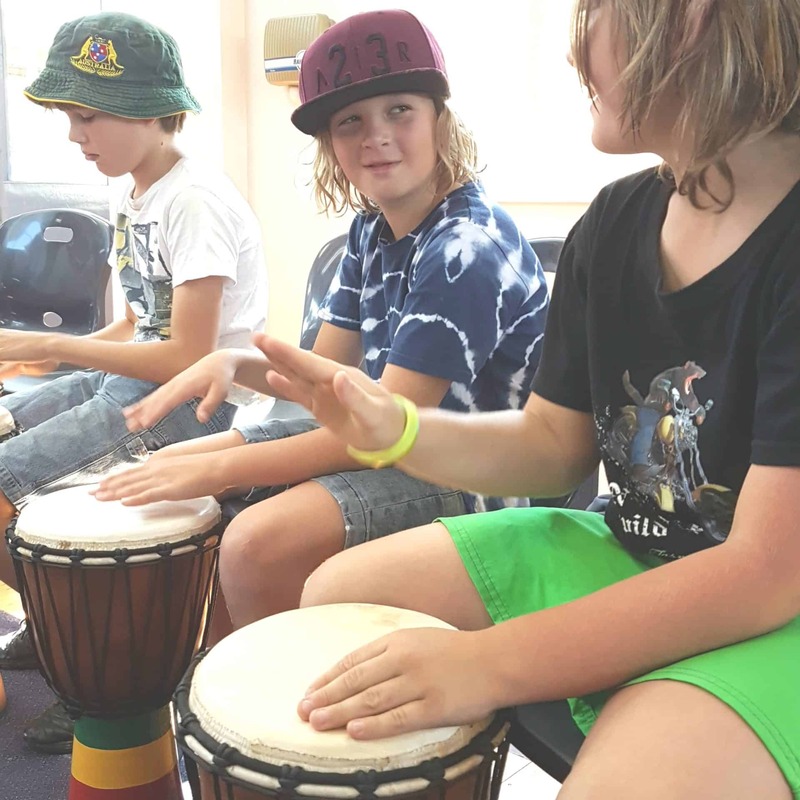 With every beat, their excitement builds as they begin to sense the power of their rhythmic contributions and realise the musical support of their peers. Through a series of dynamic non-verbal gestures and dramatic mime (much like an animated orchestra conductor!) 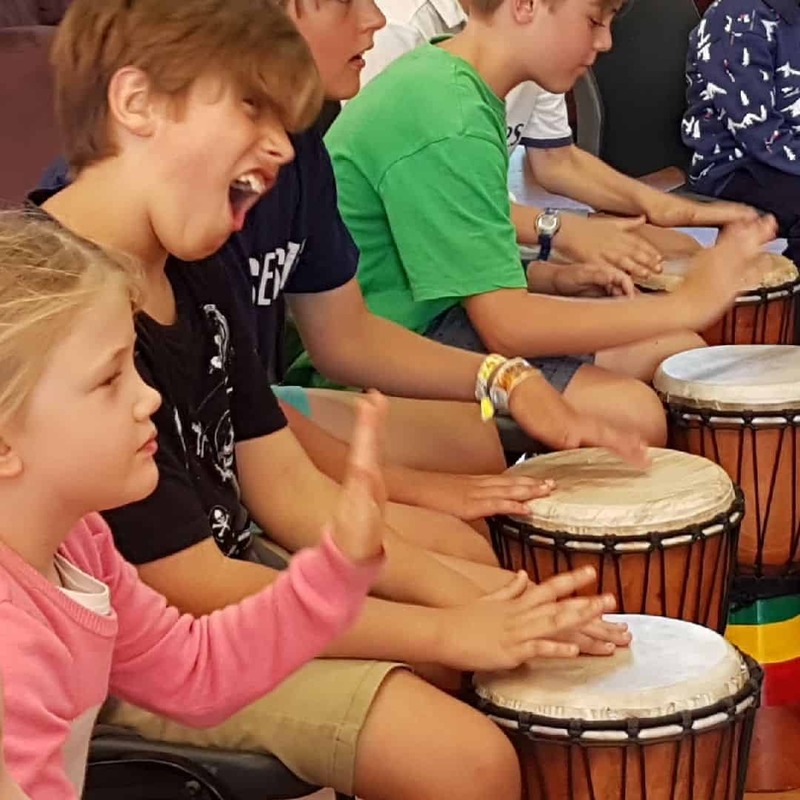 Afrobeat weave their magic, introducing the ever popular African Djembe drum through thunderous drum rolls and infectious beats, call and response chanting, hand clapping, and movement that focus on maximum participation. Before they know it, the new drummers have become performers rather than spectators, and the group dynamic and team spirit begin to emerge. This is an in-the-moment; music-making experience that concludes by beating out rhythms of unity, creating musical harmony, and an outstanding theatrical performance that is TRULY INSPIRATIONAL! and experience it for yourself! See how we engage 300 Year 7’s in our Interactive Drumming Show while capturing the School’s themes of Compassion, Innovation & Integrity. Our facilitator had a lovely presence while working with the children. He was knowledgeable and talented and got the kids really excited about the session. His jumps were incredible – the highest I’ve ever seen!! Thank-you so much for the workshop. The children had such a good time. Nathaniel was professional and engaging. We had parents joining in with the kids, and kids who don’t normally engage in activities did so with this workshop. He made it fun and energetic and the children responded really well. Excellent. Nothing but praise from me personally and nothing but praise from the parents who also attended. The children were enthralled. Fantastic and involving. A huge success – Thank-you again.